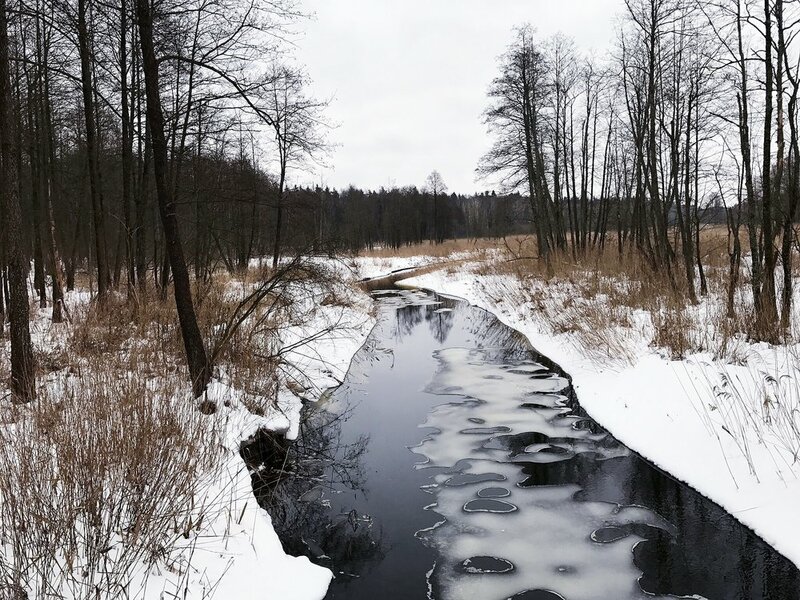 There is a primeval forest that spills over the eastern Polish border into Belarus and back again. Seriously. An actual primeval forest weaving its way in and out of international borders with a proper disdain for their artificial constraints. The Białowieża Forest has been kept wild and unmanaged because of a parade of powerful benefactors. It was protected for hundreds of years as the exclusive hunting grounds of Polish kings and then Russian Tsars. Today it wears the mantle of national park and UNESCO world heritage site. I saw the first mention of the forest more than a year before we arrived in Poland, in The Zookeeper’s Wife. This wild, primitive place lodged deep in my imagination. I knew it would not be long before we would need to be there to see its lurking, magical things for ourselves. The first week we were here, a new friend was headed to the forest. I told her I couldn’t wait to hear her report. She came back highly underwhelmed. With a substantial meh, she reported that it was just fine. I think some of my disappointment was showing in my eyes, so she added that maybe her children just aren’t outdoor folk. And, she mentioned that they had been told that it’s better in the winter, when there’s less foliage so you can see the animals more easily. Yes! The winter! That was the key. Obviously, we’d go in the summer at some point, too. Because a treasure like this must be appreciated from all angles. But, our first encounter would be in the winter. And so, when the first opportune moment in winter presented itself, we shuttled ourselves over to this forest that has been living so prominently in my imagination—this primeval forest of wonders and splendor. The only trouble is, that, to the naked eye, a primeval forest looks precisely the same as any forest you've ever wandered through. Ever. I brought my family to this place of wonder to find it far less enchanting than the park behind my house in suburban America. To say it was underwhelming is an understatement. Of course, I can still see its value as an important place to protect. I think, if I were a botanist and were given free reign to categorize and analyze, I would have seen the wonder of Białowieża unfold before me like a rose in bloom. But, I am not a botanist and I wasn’t interested in classifications and sub-species. I wanted a kind of wonder I could see and grasp onto. But, it would seem, I don’t get to decide, and no matter of demanding from my side would turn the forest into anything other than what it was. Magic does exist in those woods. But, it’s not where I expected to find it—on the macro level. It is tucked away inside the cells and hidden creatures, not in the restricted paths we were allowed to wander. But that’s just the trouble—not that the trip wasn’t good, but that it wasn’t what I expected. That word—expected—trips me up all the time, but I keep stumbling around on it anyway. And this brings me to a fundamental rule of Wandering, one that remains true no matter what continent I apply it on. If I insist on a particular experience from travel, I will inevitably be disappointed. Rules for Wandering really aren’t all that different from rules for living (it’s sneaky how they’re really one and the same thing, isn’t it?). And demands and expectations never work out, in either scenario. But, there is a closely related corollary to this rule. It is that there is a gift in every Wandering. If I will not demand that it be the one that I’m expecting, it will show up. If I will come unarmed and flexible, it will come meet me. I didn’t find the knights and castles, bison and lynxes kind of magic I was expecting. This forest showed me, instead, the magic of rest. And I would have missed it entirely if it were not for this boy of mine, who does not have the inclination to walk as far or as fast as the rest of us. He reminded me that, when my body says to rest, I need to rest. When my soul cries out for rest, I need to rest. And so do each of these, my people. We all need to rest. And a space to rejuvenate. To hibernate for a time. I wanted to commune with nature by viewing unique botanical marvels and sacred animal encounters. But, that wasn’t where this primeval forest wanted to meet me. Instead, it invited me to be still. To trust in rejuvenation that is happening in the quiet. In the stasis. It nudged me to let go of outward productivity for a time, and believe in the power of still. To be quiet. To take it all in at a slower pace. To believe in the not doing. And then I am here in the midst of this ancient forest and the obvious finally descends upon me. Didn’t I say that I missed the changing seasons? Didn’t I say I needed winter? I thought that I was missing the cold—the beauty of a world made over in white. But, really, I was missing this time of still. This season of quiet. That’s what I needed. That’s what a frosty forest, and an insightful son taught me.